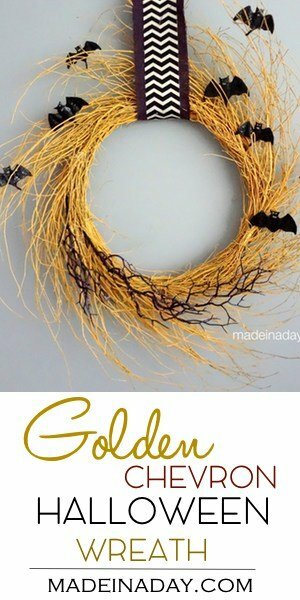 A couple of weeks ago I made two Golden Harvest Wreaths. 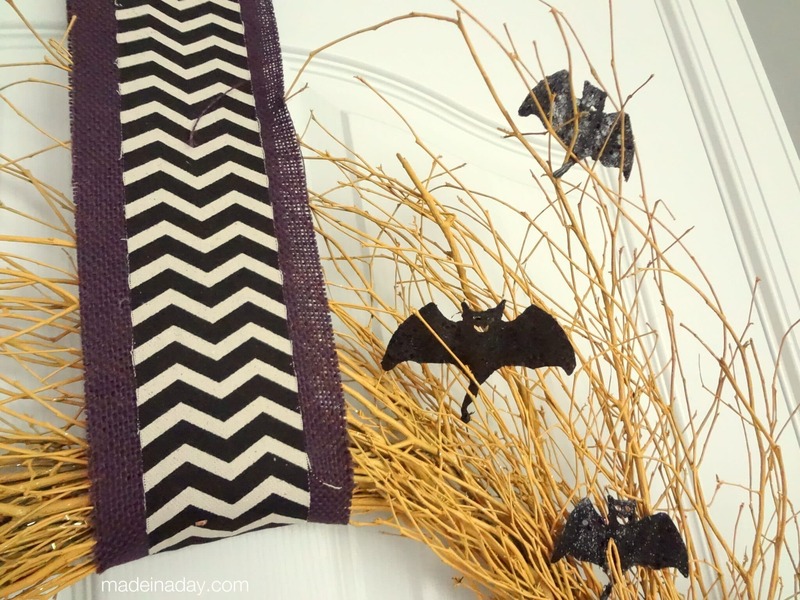 Well, I swapped out the ribbon, from red to black chevron and purple burlap then added some spooky purple picks for an easy eerie Halloween upgrade! Cut the Halloween pick apart with floral pliers. 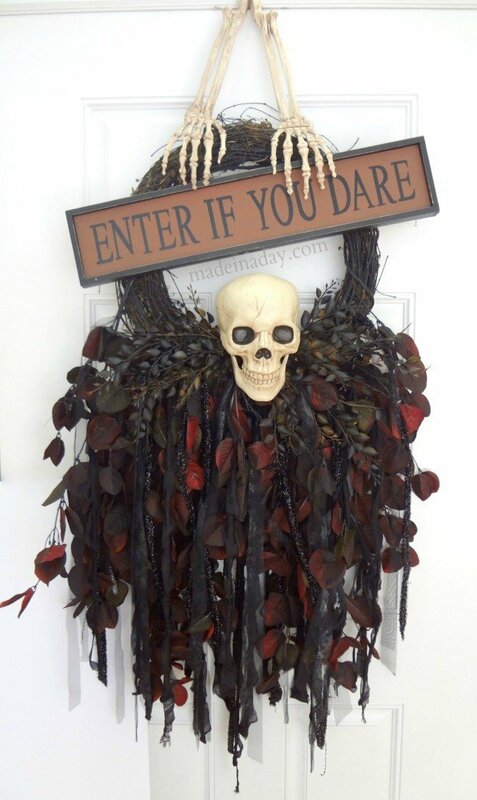 Place randomly around the wreath with plant wire and hot glue it into place. To see how I made the ribbon to hang the wreath, see my tutorial on the Golden Wispy Wreath post and that’s it! 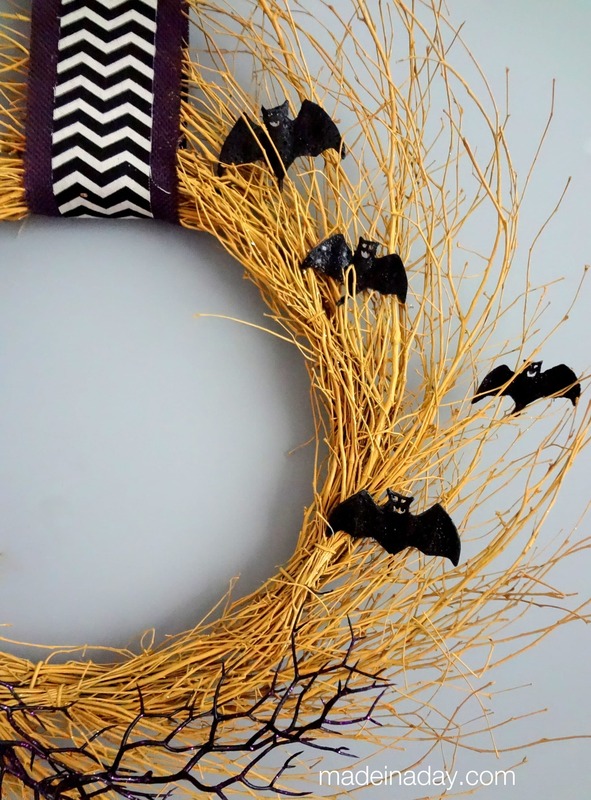 A super easy update from an Autumn Harvest wreath to Halloween! 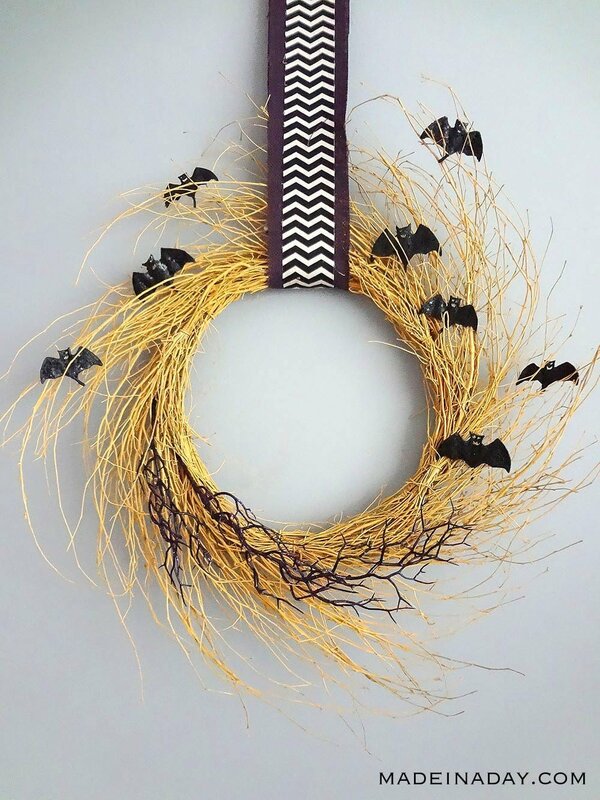 Hot glue bats to outer wispy wreath edges.